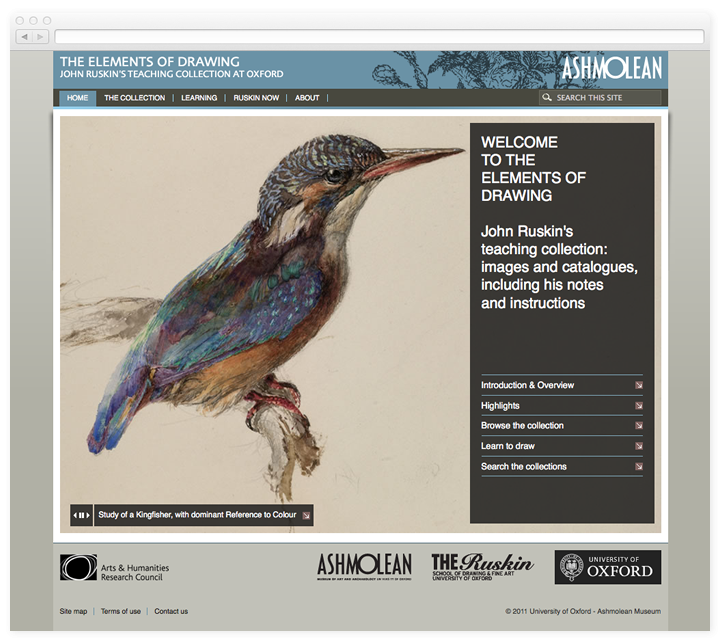 Following the release of the Jameel Online Centre for Eastern Art, Keepthinking have created a second resource for the collection online of the Ashmolean Museum in Oxford: The Elements of Drawing, John Ruskin's teaching collection at Oxford. 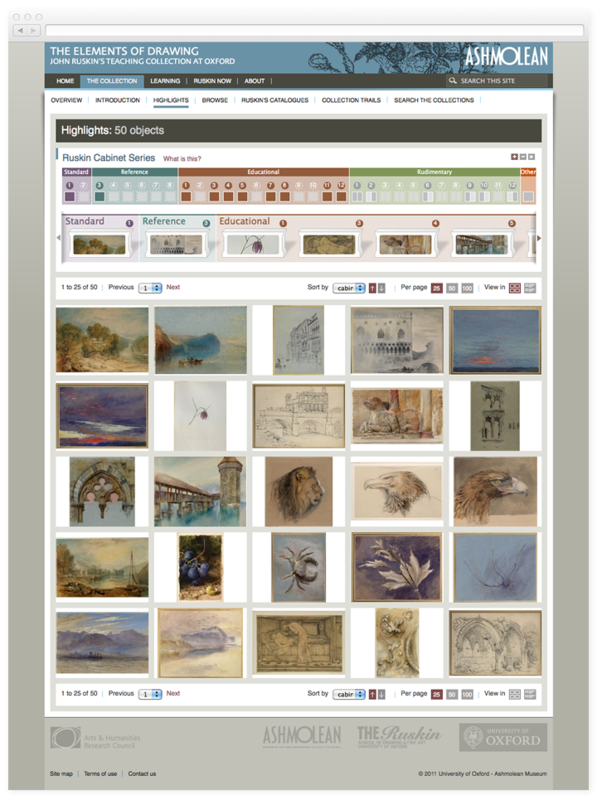 John Ruskin created, collected and catalogued over 1,400 drawings, sketches and paintings, to teach his students how to draw. He also published multiple editions of four catalogues of the drawings, each unique in scope and magnitude, with notes and cross references. The entire set of drawings as well as the catalogues are now available online. 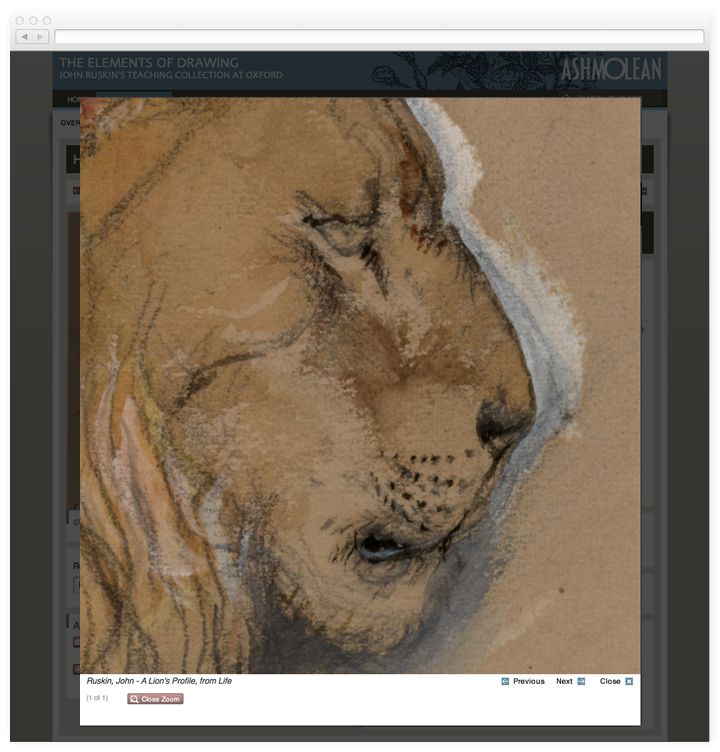 The home page offers a selection of beautiful crops from the corpus of the drawings. 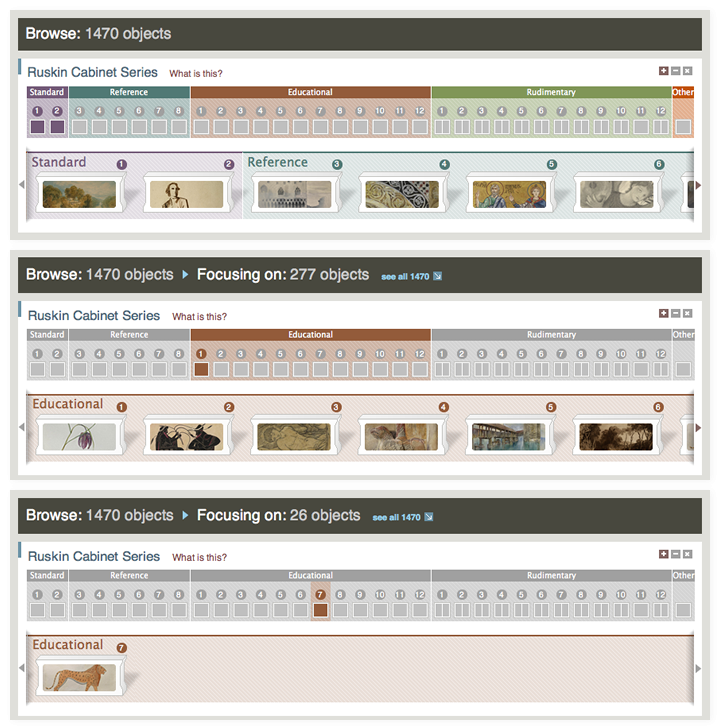 The full collection may be discovered in many ways, starting from the highlights. 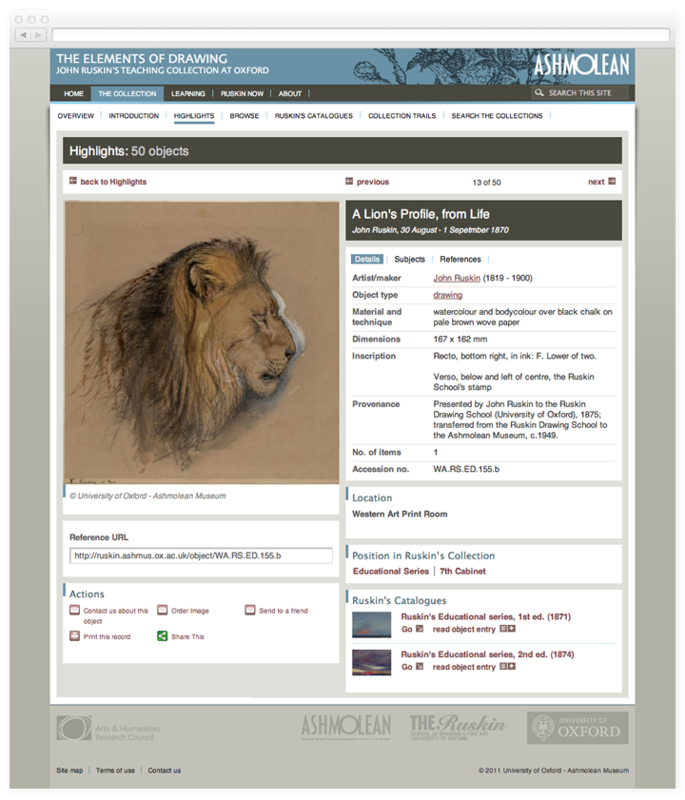 The highlights extract the most meaningful drawings in the catalogue, inviting visitors in. 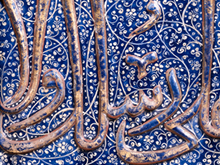 While on the Jameel website the most relevant contextual background was time, for Ruskin we organised the work according to the thematic approach taken by the teacher himself. Drawings are grouped in cabinets, each with a theme, as they were at the time of the School of Drawing. As the matter could be quite complex, contextual help is always available. The catalogues are no easy matter. Ruskin kept re-organising his material and moving it around, publishing it on four catalogues and various editions of each one (a total of eleven between published and unpublished books). 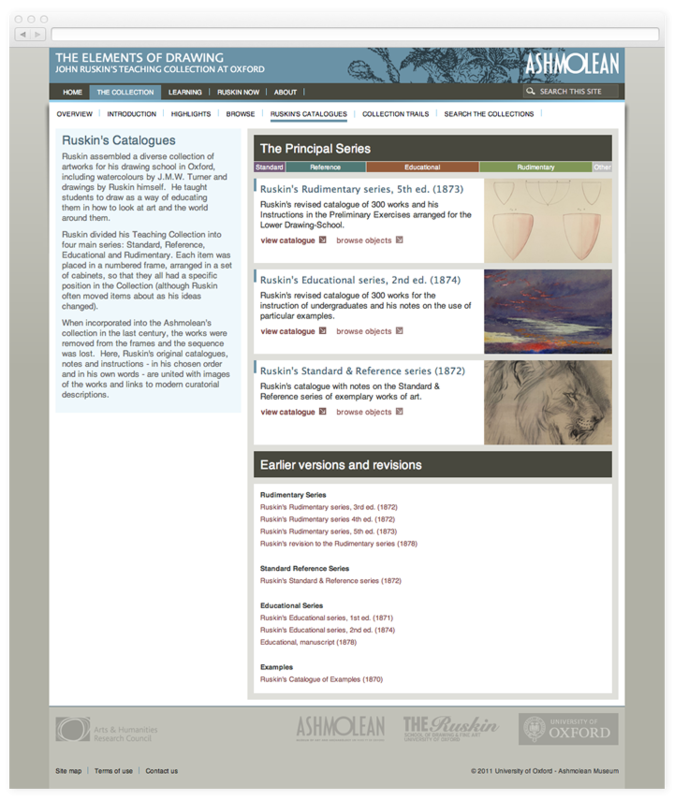 The catalogues online allow scholars to follow how Ruskin re-organised his collection and, consequently, his teaching method. 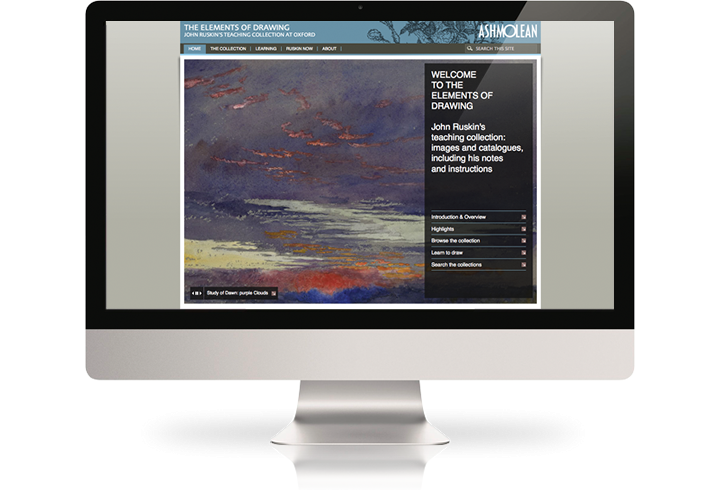 Individual drawings (now in the care of the Ashmolean) are displayed with all available details, plus contextual information. Each drawing is cross-linked to the various editions of each catalogue, as well as to other publications and exhibitions.